After settling into our new home, I was in search of a way to create some sort of visual separation between the dining area and the space which would have been the formal living room (which I turned into my craft/office space. I’m a rebel, I know). Painting the space didn’t sound too exciting and any type of division with furniture would have blocked the already limited amount of natural sunlight in the room. Wallpaper was an option, but from experience can be pricey and quite messy. Stencils proved to be an awesome solution! 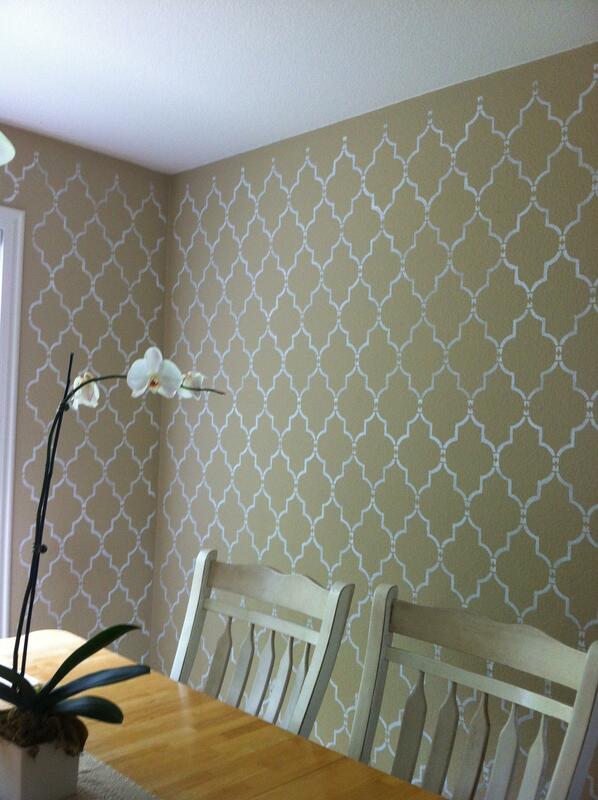 Cutting Edge Stencils has some great all over patterns that give the look of wallpaper with a bit more character. 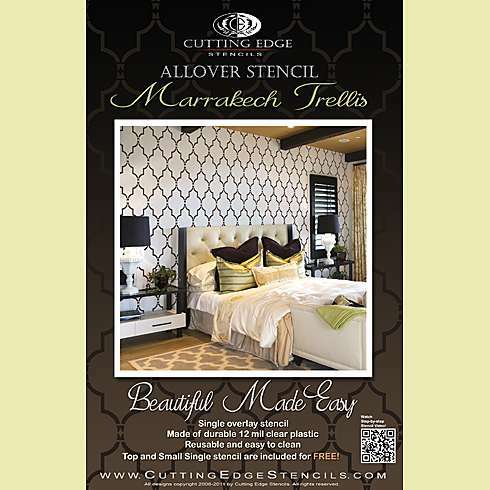 The stencil I chose for this project is a larger Moroccan style pattern and comes on a clear plastic reusable stencil. The stencil was $39 and the acrylic paint from my local hardware store was less than $10. In just a few hours and with less than $50, I had a brand new dining room! I couldn’t be happier with the results.